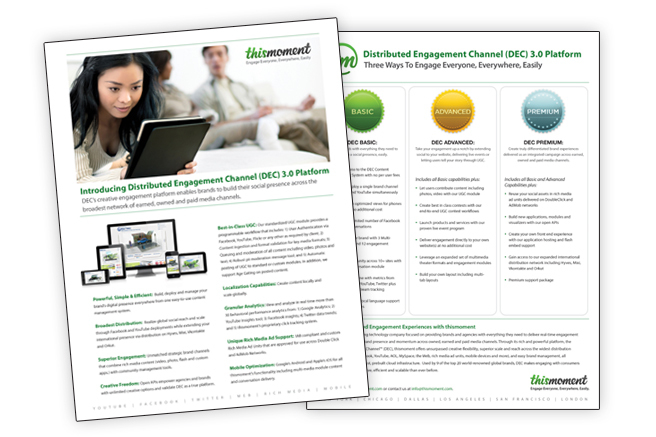 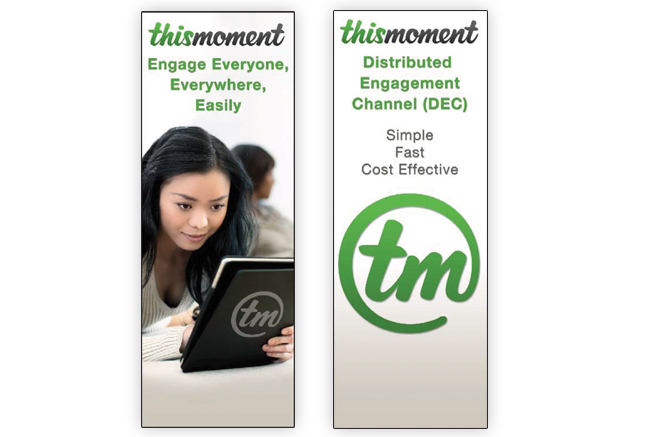 Thismoment’s unique platform enables marketers to deliver a consistent brand experience across owned, earned and paid media channels. 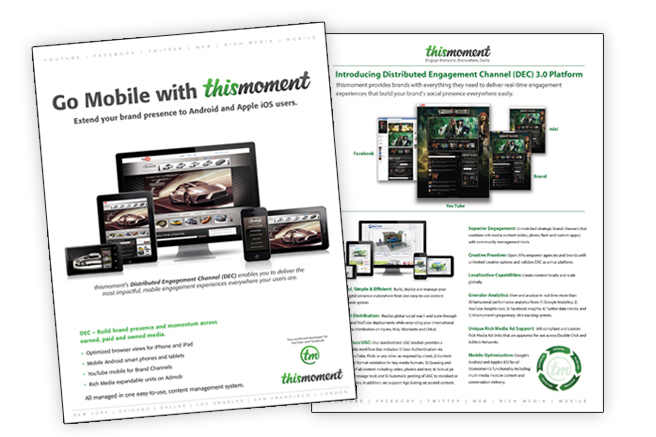 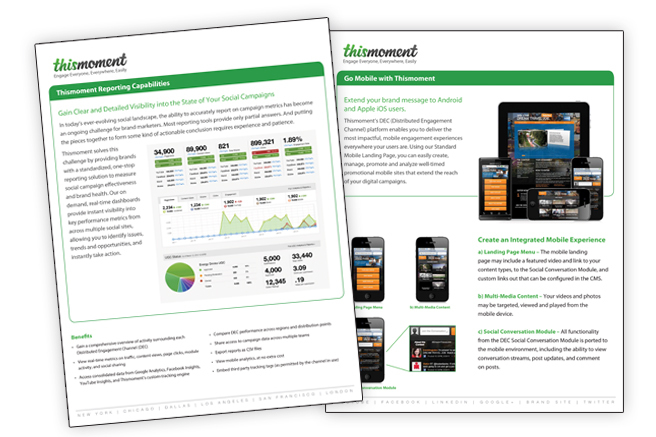 As an emerging company, Thismoment enagaged Bridges Marketing Group to increase the awareness of Thismoment’s social media tools. 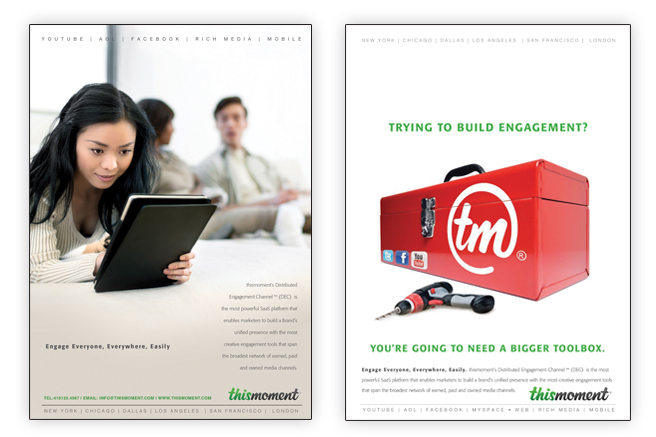 Bridges created a high profile trade advertising campaign and a print collateral system that targeted America’s leading brands.